The rumors about marijuana breathalyzers remind me of the stories we heard as a kid about special additives in swimming pools that would change color if you relieved yourself in the water. Sure, we had friends whose other friends parents used it in their pool , but for many, it was just the chance that we might leave a color trail through the water behind us that caused us to think more twice before letting it flow. Just the possibility of there being a marijuana breathalyzer has the same cooling effect on some that think about stoned driving. 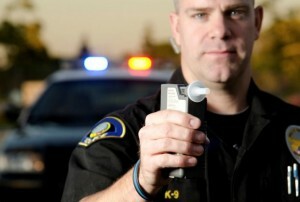 But in reality, the only ways available to detect marijuana are saliva, blood or urine. However, another issue exists in that due to the long half life of marijuana, it is difficult to prove someone was stoned at the time of driving – and making proving they were stoned when driving very hard to prove (granted you have a good defense attorney in your corner 😉 ). Conviction rates are staggeringly low. Watch out my cheech and chong like friends, this all may be about to change. A former member of the Royal Canadian Mounted Police, and who also spent much of his career as a drug enforcement officer has collaborated with two physicians to develop the world’s first marijuana Breathalyzer. The so-called “Cannabix Breathalyzer” is capable of detecting whether someone ingested marijuana in the two-hours prior to being tested. The officer/ inventor, Kal Malhi, claims he was inspired to develop the device after coming across a Swedish study concerning breath testing technology. The Cannabix device, still unpatented, must now be subjected to a battery of field tests to determine its efficacy and its legality as a potential evidence gathering device against defendants. Some at NORML have endorsed and encouraged such devices, but others address the dearth of scientific evidence supporting the need to step up enforcement of drugged driving arrests and convictions. While they concede there is a brief impairment of psychomotor skills, they contend it is short lived and usually presents itself in slowing the speed of the vehicle and a slightly diminished response time to emergency situations. No matter where you stand, it is important to arm yourself with knowledge presented by both sides in forming your final opinion. While it is still uncertain whether the Cannabix Breathalyzer will be patented after its field testing, a product will likely be introduced soon to the tool bag used by law enforcement for the detection of recent cannabis use by drivers. Arrested for Possession of Marijuana or Driving under the influence of drugs?